I think it is time for another giveaway. 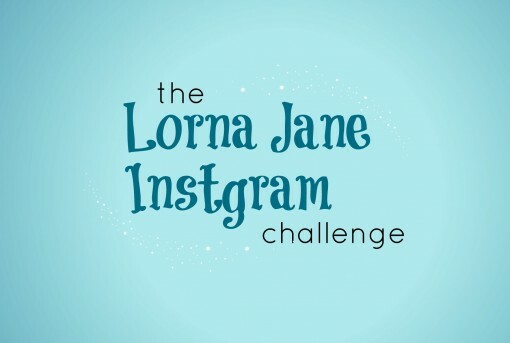 Last week I did some stuff with Lorna Jane on Instagram…and we’re doing it all over again! Happy July 1st (and Canada Day)! This marks the official end of the Colourful Smoothie Challenge. We have made it 3 weeks of a smoothie a day! I’m proud of us. I’ve repeated some of my favourite smoothies, but I’ve been trying a ton of new ones…which adds excitement and keeps things fresh. I’m not sick of smoothies yet! In fact, I’ve often been having two a day! Blame it on this crazy hot sunshine. Keep reading below to find out what this weekly challenge is (and to enter a sweet giveaway!). I have now completed two-weeks of my Philosophie Cleanse and I have been super happy with it (read what I’ve been eating). I felt great the whole time, maybe a little tired…but it’s hard for me to distinguish what causes that (since that’s a side affect since my accident). Like I mentioned before, I was rarely hungry and felt like, on a cellular level, my body was satisfied with nutrition so it had no reason to “be hungry”. This is not actual science, it’s just my own thoughts. 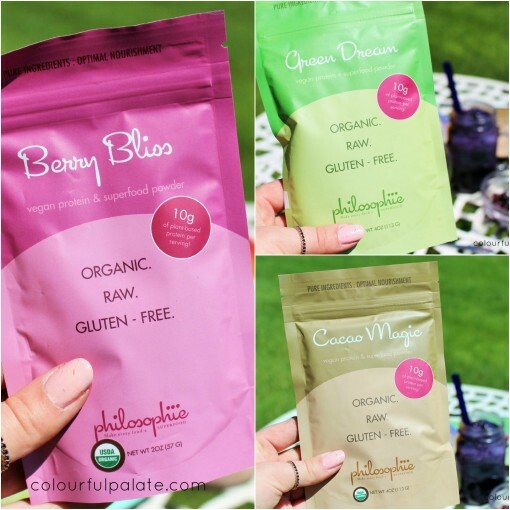 I’m still obsessing over Philosophie’s superfoods and put them in all my smoothies. My bases are quite clearly covered. Thanks again to Sophie for being part of this challenge and letting me try the 2-week cleanse! Read a fun interview I did with her here – she shares her “secrets” to a successful, passionate business, her routine for fitness, and her diet/beauty secrets! So back to WEEK 3 of the COLOURFUL SMOOTHIE CHALLENGE! Here is your new weekly challenge! Now onto the fun stuff! I said that if you did any one of the weekly challenges you were eligible to win a surprise prize! Well, it’s here!! My friend Clark works for Quest and he set up a super sweet giveaway. I have loved Quest for-eeeeeeva. Why? They are a protein bar that tastes like dessert (smores or oreos anyone?) and yet it’s nutritional profile is great. For example, one of my fave Quest bars is the Chocolate Chip Cookie Dough bar and it has 1g sugar, 3 net carbs, is high fibre, and no gluten. I know you’ll love them as much as I do. 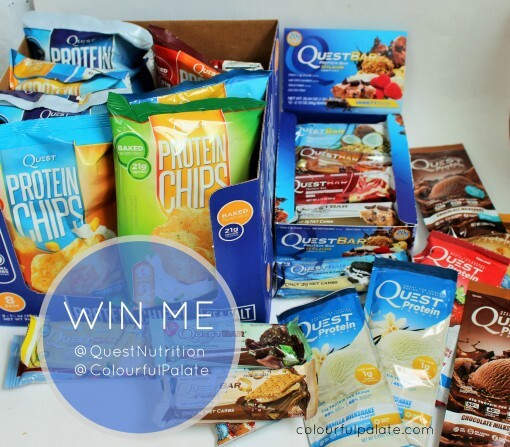 However, Quest went overboard and is giving away their new protein CHIPS (whaaa!) and some of their protein shake packets! Check out this haul! Yah, you want some! I haven’t tried their protein powder yet (follow me on IG and I’ll post my thoughts on it soon!). However, I have tried their chips and they are a happy mix of a crisp cracker and a chip. When I’m craving the munchies this is the perfect go-to. I love their BBQ flavour. Okay! 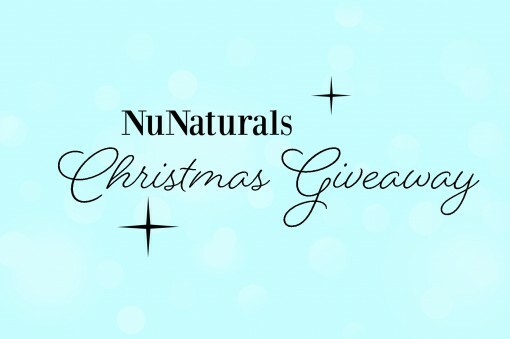 So HOW DO YOU ENTER TO WIN THIS GIVEAWAY? First thing’s first. You have to have done at least one of the weekly challenges to be eligible to win! I’ve put the other two week’s challenge videos below so you can run and do one of the challenges, and enter right away! It doesn’t matter if you’re late to the party or are not part of the Colourful Smoothie Challenge, just do at least one of the weekly challenges. Open to US and Canadian residents. However, if it’s a Canadian winner, Quest isn’t able to send them chips or protein powder, so they’ll replace that with another box of bars. At the moment, they’re not shipping those internationally. Now comment below and tell me what your goals were for one of the weekly challenges! I’ll announce the winner on the 22nd of this month! UPDATE: Brenda Penton is the winner! Congratulations and thank you to all who entered! Oh Spring. How I love you. Updated: Congratulations to Rebecca, Elizabeth, Jay, and Linda! 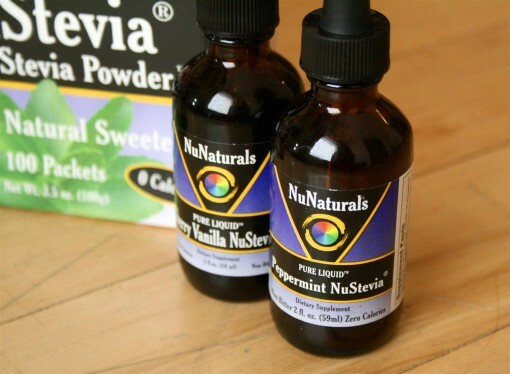 Every single day I use stevia. However, I’m pretty picky about the kind I use. Update: Whitney is our winner! Congratulations! Hello everybody…and no, I’m not dead. Sheesk. I’ve missed blogging so much. It’s taken me a few weeks to get myself organized and figure out how to prioritize college, social life, homework, part-time job…let alone blogging.